Michael Portillo journeys through the stunning wilderness of the 49th US state on its most extreme railroads, before crossing the border into Canada, the world's second largest country, to explore its lakes and mountains, visit its cities and ride its most scenic and spectacular railroads. 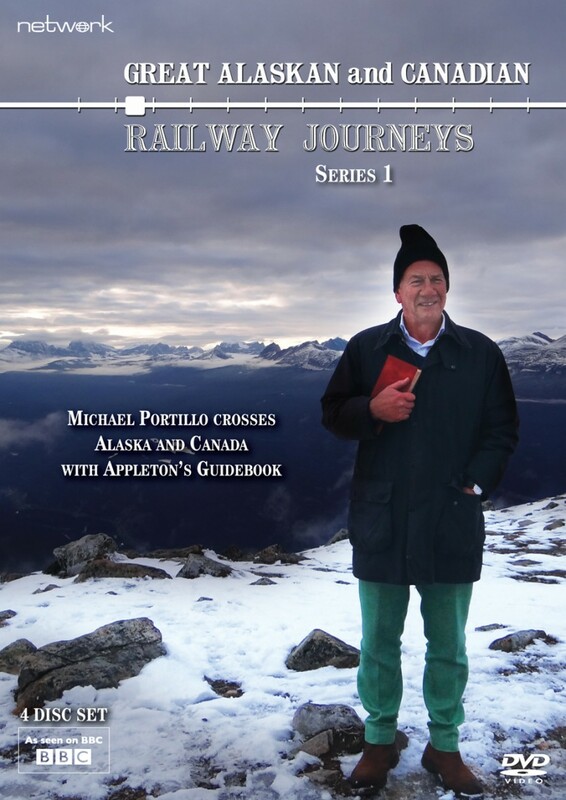 Michael heads first for the Last Frontier of the United States armed with his 1899 Appleton's Guidebook to Alaska. He boards the Alaska Railroad to travel past lakes and glaciers and through mountain tunnels, admiring the magnificent landscape and glimpsing the wildlife of the region, while learning what it took to build this epic 470-mile line. Along the way, Michael joins the US Arctic Warriors for parachute training, gets a taste of the pioneering spirit and explores the art of the First Nations – helping to carve a totem pole before shaking his tail feathers in a "grouse dance". Switching to his 1899 edition of Appleton's Canadian Guidebook, Michael crosses the border into Canada and rides the spectacular transcontinental railway, explores Canada's Atlantic maritime provinces and makes a 1,000-mile journey across the vast Canadian Prairie. During his travels he meets modern day Canadians descended from immigrants and fur traders, indigenous groups and people of the Métis nation. He encounters beaver and bear, rides with the Royal Canadian Mounted Police, joins the lumberjacks of British Columbia to corral logs downriver and attempts to play Canada's national sport, ice hockey. Tomato wine, Saskatoon Berry Pie, Acadian oysters and Nova Scotia lobster are among the delicacies that sustain him on his journey.